It's been a year and a half, but Pamela Ferrara still tears up when she talks about Carmella’s death. 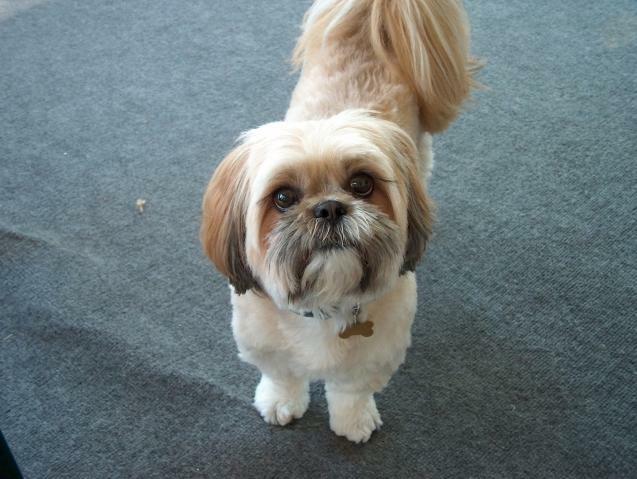 Ferrara and her husband Chris do not have children; the 9-year-old Shih Tzu was like a daughter to them. They feel her death was completely preventable. That's the issue at the heart of the civil lawsuit they've filed against Tampa Bay Veterinary in Largo. While medical malpractice cases are not tracked by American Veterinary Medical Association, experts who work in the field say these types of cases have become more common in recent years. But proving veterinary wrongdoing is responsible for a pet's death can be difficult. It's extremely rare for these cases to result in the recovery of major damages, says Joyce Tischler of the Animal Legal Defense Fund. Still, the Ferraras are determined to get what they call justice for Carmella. Pamela and Chris Ferrara say their lives revolved around Carmella’s wants and needs. When the couple had hamburgers for dinner, so did she. Carmella even had a favorite television show and song. Every day, Pam Ferrara says, she gave Carmella "Beggin strips" when she left the house. It would be gone within minutes. Then one day in 2008, Ferrara says she came home and the treat was still there. She knew something was wrong. “She was very lethargic. We tried to give her bologna and she wouldn’t take it,” Ferrara says. The couple took Carmella to her primary care veterinarian, who discovered that she suffered from immune mediated hemolytic anemia—a condition where the immune system attacks the red blood cells. Carmella’s condition got worse and the Ferraras brought her to Tampa Bay Veterinary. The doctor warned that Carmella had only a 40 percent chance of survival. Carmella got better, but the scare made the couple especially cautious about her health. She wasn’t allowed outside but exercised in the halls of their home. The Ferraras had racked up a $7,000 vet bill but didn’t hesitate to bring Carmella back to Tampa Bay Veterinary three years later, when she had a relapse. “She coughed, and up came blood,” Pam Ferrara says. At Tampa Bay Veterinary, she says, Carmella was looked at and released. Pam Ferrara says she begged for the company president, Dr. Gary Oswald, to see her, but according to the suit, he didn't -- either he wasn’t told or chose not to. The Ferraras left Tampa Bay Veterinary with Carmella and rushed to her primary care vet. By then, her condition had gotten much worse. “In less than 48 hours, she went from 'we have a good chance' to dead,” Pam Ferrara says. Pam Ferrara believes that if Carmella had been treated at Tampa Bay Veterinary by vets who knew her history, she would have lived. “I know the disease, the severity of the disease, and I know that animals, like humans, die,” she says. Now the Ferraras are suing Tampa Bay Veterinary for negligence, claiming the ordeal caused them “severe emotional distress” and loss of income. They initially intended to represent themselves and Carmella, but recently an animal rights attorney agreed to take the case. The couple has also listed Carmella as a plaintiff on the lawsuit. Tampa Bay Veterinary officials says they are not able to comment on the specifics of the case, but say they have done an internal investigation and found that Carmella was treated appropriately. Joyce Tischler, the co-founder of the Animal Legal Defense Fund, has been working in the field for 35 years and says she’s noticed a slight increase in the number of cases. She says it’s very difficult for pet owners to find an attorney to take veterinary medical malpractice cases for several reasons. For one, these cases are just as difficult to prove as they are in human cases. Plaintiffs have to prove that the injury occurred and that it was due to an action or inaction by the veterinarian. Then, the amount of the damage has to be determined. This is particularly tricky because under U.S. law, animals are considered property. “What keeps these cases from really moving forward is that the damages recovered for the loss of an animal’s life are so low, it’s just not worthwhile to take this through to trial for the most part,” Tischler says. “The law treats them as if they were inanimate objects,” Tischler says. She points out the dichotomy of the situation—vets encourage the attachment between owners and pets and benefit financially from it. However, if an animal is injured or killed while in their care, the same animal those owners spent thousands of dollars taking care of is now considered almost worthless. She says most animal medical malpractice cases are settled outside of court and few have won big settlements. Statistics from the American Veterinary Medical Association show that in the United States in 2011 pet owners spent $28 million dollars taking their animals to the vet. According to David Kirkpatrick with the American Veterinary Medical Association, The AVMA collects doesn’t collect statistics on veterinary malpractice suits. The group’s associated Professional Liability Insurance Trust, or PLIT, which offers malpractice insurance for vets, refused to release the numbers for these cases. The Ferraras keep Carmella’s ashes in their bedroom in a small wooden box, personalized with her name and picture. In another box, they keep two small toys and a lock of her hair. These items, memories and the lawsuit is all they have left to hold on to. The couple is seeking $50,000 in damages. Pam Ferrara says she was so distraught over Carmella’s death, she was out of work for six months. The Ferraras claim that Tampa Bay Veterinary cremated Carmella without their consent in order to "mitigate and/or hide the numerous acts of negligence." They feel that they have a good shot at winning their case and ultimately hope to change the way the law views animals. "There's not a day that goes by that I don't think about her. Not one day, " Ferrara says. Barry Silver, an animal rights attorney out of Boca Raton has agreed to represent the Ferraras and Carmella. He says the law is severely flawed when it comes to animal rights--and he thinks lawsuits like this one will eventually cause change. "There is a growing trend in Florida and elsewhere to view animals in a more realistic light. There's a difference between an animal and a chair," Silver says. "When an animal gets sick, you go to a doctor, you don't go to an animal repairman." The Texas Supreme Court is now discussing whether pet owners are entitled to emotional damages when their pets are injured or killed. For information on filing a veterinary medical malpractice case, check out the Animal Legal Defense Fund's website.